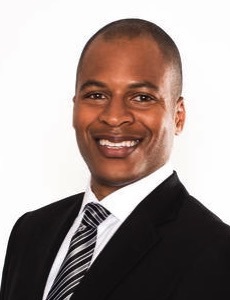 From play-by-play to sports talk, on the air or in print, across various sports and platforms, and at major markets and national networks, I am proud to have two decades of experience creating and presenting uniquely compelling content, connecting with people, demonstrating total commitment to preparation and professionalism, and having fun. This is the greatest job in the world! Inside TroyClardy.com, you'll find audio and video clips featuring some of the best of my work, including television play-by-play for ESPN and the Pac-12 Network, sports talk radio shows in San Francisco and Pittsburgh, and much more. To explore, click on the links above. To connect, click on the Facebook and Twitter badges. To check out my latest, see what's new below. Thank you for visiting! My third straight year of hosting Stanford Football Pro Day on ESPN3 is in the books! It's always one of my favorite events. 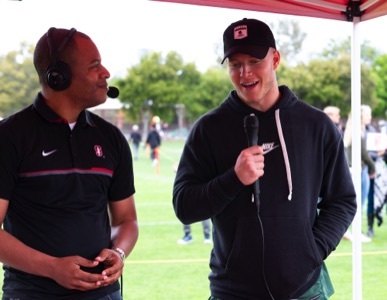 Not only did we watch the Cardinal's NFL hopefuls put their best feet forward for all 32 teams in attendance, but we also had numerous guests stop by, including former Stanford RB and current Carolina Panthers dynamo Christian McCaffrey! Best wishes to all the 2019 NFL Draft prospects. Meanwhile, my spring season calling Pac-12 Network play-by-play for softball and lacrosse continues! And I am also having fun being on the play-by-play call for Stanford livestreams of Cardinal baseball, softball, and lacrosse. Super-appreciative of all the opportunities...and having so much fun being part of it all! All Content © 1994-2019 Troy Clardy. All Rights Reserved.